When you arrive at our Wine Academy Superstores just ask our Wine Specialists for your own personal Wine Tasting card. 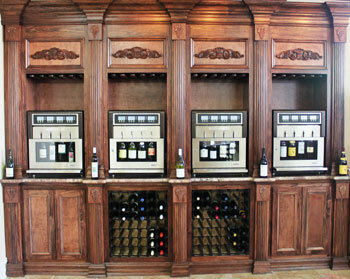 The cards are free of charge and allow you access to our wine tasting machines. Casually taste 4 different wines on a daily basis (the legal limit under the law) – but come back the next day and taste 4 more if you so desire. Make sure to visit our website as we will list the wines in the machine each week with a brief description of each selection. A glorious white wine from the Southern Rhone Valley. Minerally and crisp with some nice fruit in the background. Light with beautiful restrained fruit. A superb deal! Classic Italian Pinot Grigio, crisp and refreshing. The warmer climate of Oregon rounds this wine out marrying verve with lusciousness . Pinot Gris from the Willamette Valley in Oregon. Medium bodied and balanced, pair with roast chicken! 100% Sauvignon Blanc from the Loire Valley. Cruched stones and glorious acidity. There is nothing like it. Chardonnay from Southern Burgundy, made like only the French know how. A warmer climate Chard to highlight the luxurious possibilites of the grape. 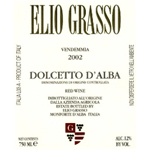 Slightly riper style of dolcetto, lovely fruit. Fleuri Beaujolais from the gods. 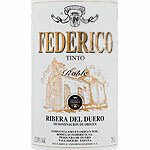 Old school Ribera, Big and beautiful. Cali Cab done right, big but balanced!